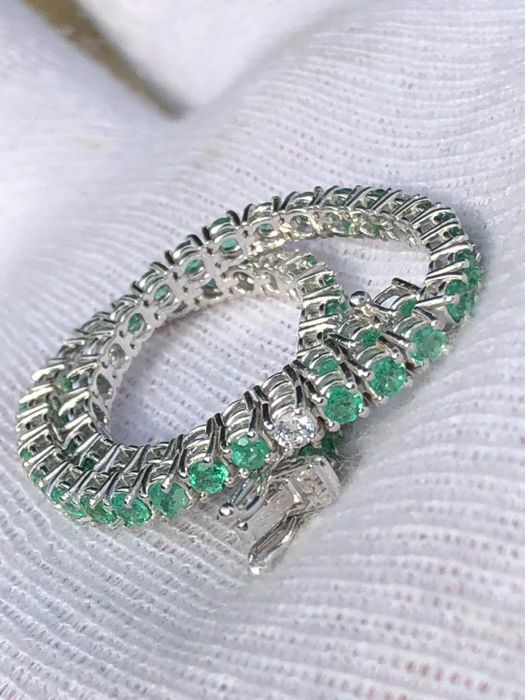 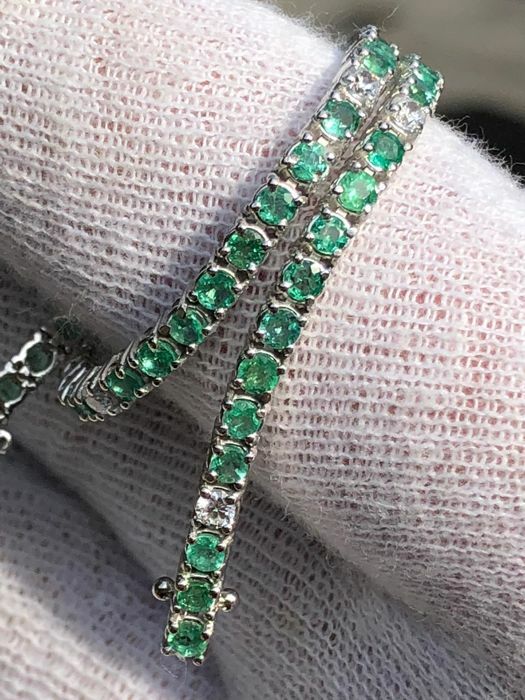 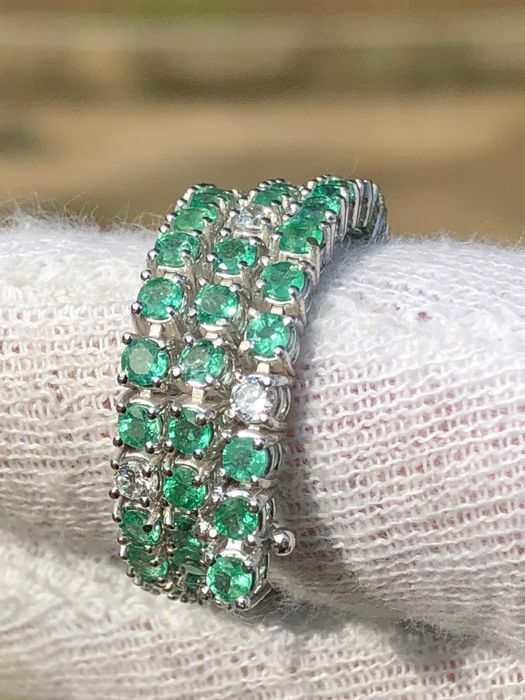 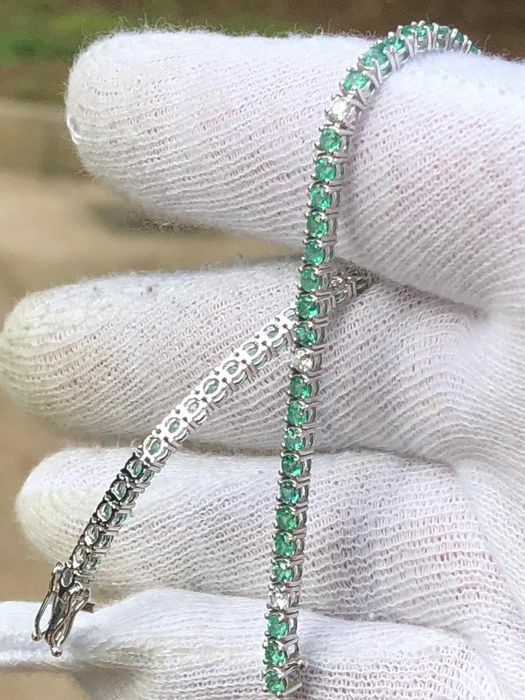 Exclusive tennis bracelet made of top green emeralds and excellent quality diamonds for a total of 4.86 ct, in fascinating 18 kt white gold. 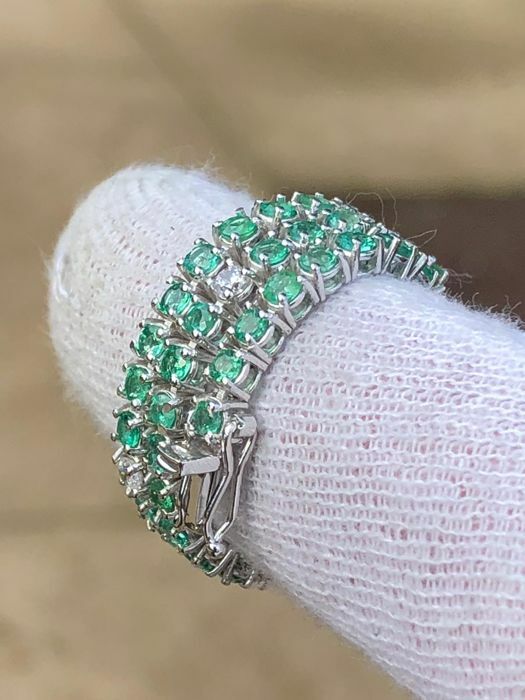 Emeralds for a total of 4.26 ct and diamonds for 0.60 ct, VVS, D/E. 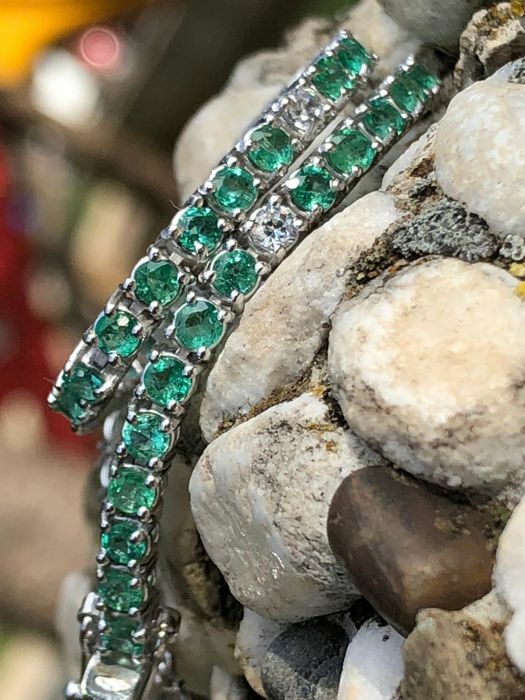 Artisan craftsmanship, handmade in Italy. 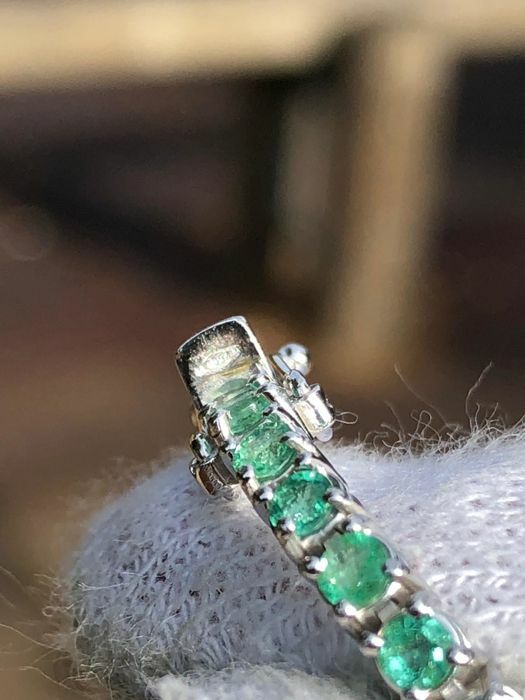 Solid 18 kt white gold. 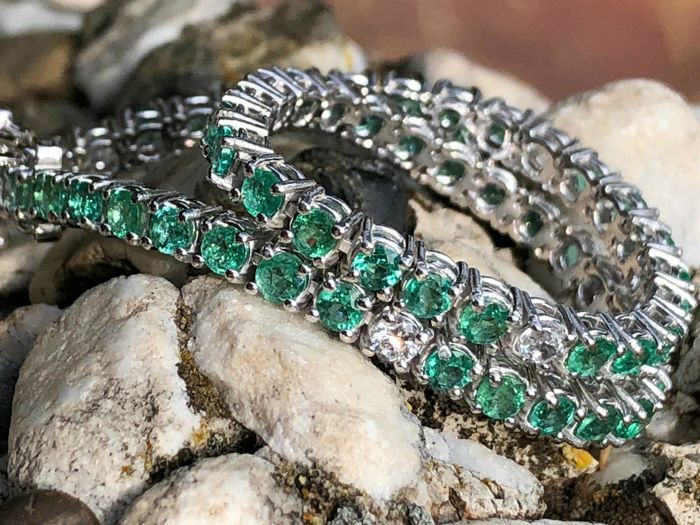 Please note that your country may levy taxes and/or customs duties.